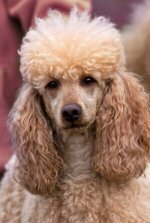 Asking veterinary questions when you take your poodle in for routine checkups once or twice a year will help keep your dog healthy as you will be able to discern illness signs that need immediate vet care. Preventing serious illness and poodle health issues are two reasons for keeping an eye on your pet's health. Health problems and issues that are caught early can be treated and help ward off more serious problems in the future. Taking care of a puppy or adult dog means regular trips to the vet. It may also mean emergency vet trips on certain occasions, too. Being proactive, noticing signs of disease, and taking him to the vet as soon as possible can help prevent serious illness in your beloved pet. 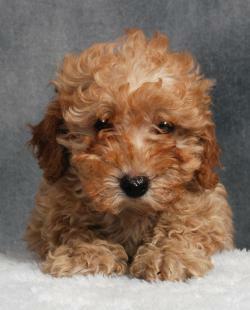 Poodles, like people, will have illness throughout their lives. Some are mild, others need further investigation. Common illness includes vomiting and diarrhea. Diarrhea can be caused by stress, diet change or parasites. If his diarrhea is bloody or lasts longer than 24 hours, call your vet. Vomiting can also be caused by dietary change and stress. If your pet throws up for more than 12 hours, call your vet. If he has both diarrhea and vomiting, dehydration can occur, so call the vet for instructions. 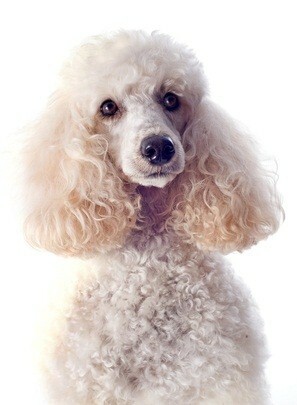 Standard poodles are susceptible to bloat in which gas or water cause his stomach to stretch and swell. An exact cause isn't known, some think a predisposition, stress, and heavy exercise right after eating cause it. Try putting your standard's food bowl on a stand. This elevates it so he's not bending all the way over to eat, and this may help prevent bloat. Preventative measures include feeding him twice a day instead of one large meal, not letting him exercise until at least 1 hour after eating, and waiting 1 hour or more after heavy exercise to feed him. Males and dogs 2 years of age and older are the most susceptible. Signs include abdominal pain and swelling, rapid breathing, shocked look, excess saliva, and dry heaves. This is an emergency situation, and you must call the vet. Your poodle may never need emergency veterinary care. By knowing the signs of serious illness and asking the right veterinary questions, if she ever needs urgent care, you can get her to the vet and get treatment immediately.